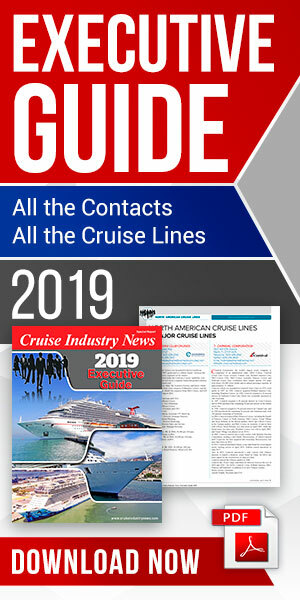 Cruise Industry News has the following PDFs available for download. Note: these graphics run in the Cruise Industry News Quarterly Magazine or the Annual Report and are first available to print subscribers. These PDFs, as well as the content, data and graphics they are composed of, are intended for personal use only. Download a easy-to-read PDF of the current cruise ship orderbook. Updated monthly. Cruise Industry 101 is available for free download, offering a short but informative PDF guide for new suppliers and ports considering doing business in the global cruise world. Zero emissions is the cruise industry’s long term ambition, both for water and air, and not only at sea, but also in port. Inside the numbers after each quarter, per passenger day. The world of cruise ship design, talking to the top cruise ship designers and profiling the latest trends. Inside the Australian cruise market, which has the highest penetration rate in the world. The 2018 Cruise Industry News infographic looks at the global cruise industry in a one page presentation - based on data available in the 2018-2019 Cruise Industry News Annual Report. A look at the growth upcoming in for European cruise operators. Sea-going job and career opportunities, recruitment challenges and HR strategies are covered in a new complimentary digital report, Working at Sea by Cruise Industry News. A PDF overview of the huge drydocking market. A look at Seabourn's 30-year history in the luxury cruise sector. A complete overview of the biggest cruise region in the world, the Caribbean. Spanning 43 pages, the report, available here as a free download, covers the world of cruise ship design in depth – from the big mass market ships to expedition vessel design, amenities for Chinese passengers, and everything in between. We break down the quarter for the big three public cruise companies, looking at revenue and net income on a per day basis, along with other key metrics. The 2017 Cruise Industry News infographic looks at the global cruise industry in a one page presentation - based on data available in the 2017-2018 Cruise Industry News Annual Report. Cruise Industry News guide to deployment and itinerary announcements, as well as trends, concerning the Cuba market. Cruise Industry News presents its 2016 cruise industry infographic, based off data in the 2016-2017 Cruise Industry News Annual Report. The infographic provides an overview of the past, present and future of the cruise industry, current regional deployments and brand data. A preview of the new MSC Seaside. A look into port parking trends in North America. A overview of ships serving the Asia/Pacific marketplace. The guide to Chinese cruise ports, presented by Cruise Industry News, is a map guide to the key ports in China, along with their development phases. Cruise Industry News has released its 2015 cruise industry infographic, based off data in the 2015-2016 Cruise Industry News Annual Report. The infographic provides an overview of the past, present and future of the cruise industry, current regional deployments and brand data. Cruise Industry News has released its 2014 cruise industry infographic, running in the 2014 Summer/July Quarterly Magazine, based off data in the 2014-2015 Cruise Industry News Annual Report. A complete overview of the 2013 Cruise Industry, as presented by Cruise Industry News using cruise industry market data from the 2013 Annual Report.